The second week of April 2018 proved to be just another in a series of noisy weeks in 2018 for the U.S. stock market. 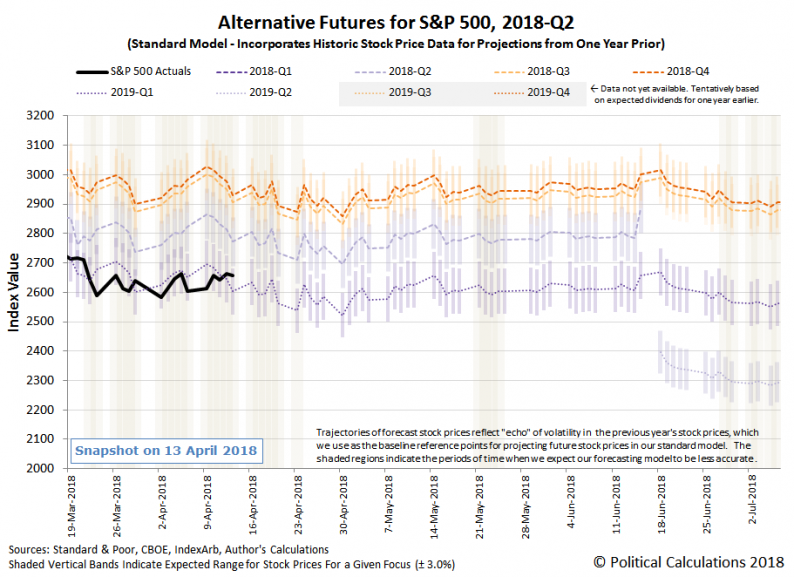 Geopolitics, trade and good old fashioned political noise filled the week that was for the S&P 500 (Index: SPX), where the ultimate outcome for the week was for the index to close at 2,656.30, up by almost exactly 2% over the previous week’s closing value of 2,604.47. On the whole, aside from the ongoing elevated noise level in the market, the week was unremarkable, as the S&P 500 closed each day within the range that we would expect knowing that investors were focused on the distant future quarter of 2019-Q1.